As Co-founder, Imran spearheads 10Pearls, a leading and award-winning application development company helping businesses build products and technology solutions spanning mobile, enterprise, web and games. 10Pearls’ clients include start-ups, small and medium-sized companies, as well as large enterprises. Prior to 10Pearls, Imran served as the Director of AOL’s Global Outsourcing, where he managed over $150M annual outsourcing spent over twelve vendors spread across seven countries. 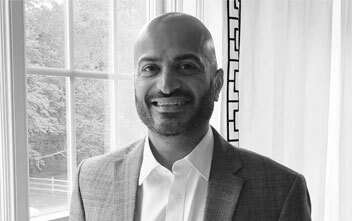 Imran has been involved with various stages of product development, and has held position ranging from VP of Products at Paxfire to Product Manager at MicroStrategy. Other companies he has worked for include Sprint Nextel and JP Morgan Chase. Imran is a graduate of Mindshare, a forum of CEOs of D.C. area’s most promising technology companies. Imran holds a BA in Chemistry from Bard College, and a Masters in Chemistry from the University of North Carolina Chapel Hill.